First European Bluegrass Jam Class – a great success! 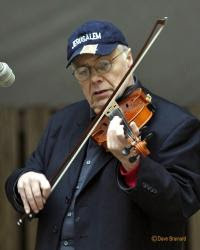 The legendary banjo player Pete Wernick a.k.a. Dr Banjo, along with his wife Joan, gave the first Jam Class in Europe. It took place in Prague at the modest but cosy Svornost hotel on 22-24 March 2013. Twenty-four participants gathered from six European countries (Czech Republic, UK, Denmark, Switzerland, France, Italy) and had a great time learning, jamming, and even performing. The topics covered included small-group jamming, harmony singing, kick-off solos, finding melodies by ear, etc. There were four Wernick Method teachers certified – Susie Bowe (IT), Joff Lowson (UK), Peter O. Ruby (CZ), and Petr Brandejs (CZ), who all worked under Pete’s supervision. More teachers can get certified later via Skype. The three wonderful days of the significant event will hopefully lead to more Jam Camps organised around Europe. Pete Wernick (left) is posting on his website the instalments of a blog on the experiences of himself and his wife Joan in Prague (CZ) this month. The first instalment comprises many photos of events at the 5th European Bluegrass Summit, hosted by Ivana Loukova and Rosta Capek. The photos include views of jams after dinner in the hotel, discussions at the Summit, and performances during the Summit's associated concert. Further instalments, dealing with the First All-Europe Bluegrass Jam Camp, which took place on the following weekend (22-4 Mar. ), are expected. During the weekend 26-7 November 2011 the first Sacred Harp all-day singing meeting to be held in the Czech Republic took place in the St Giles Church (Svaty Jilji), Prague (Husova 234/8, 110 00 Praha 1-Staré Město). 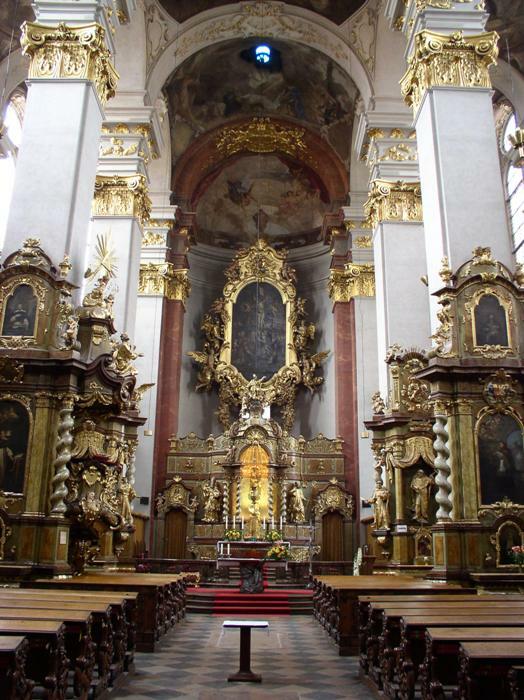 Thanks to Naomi Kaye for the news that there will be a second Sacred Harp sing taking place in Prague on 29 June 2013, from 9.30 a.m. to 3.30 p.m., again at the Church of St Giles. 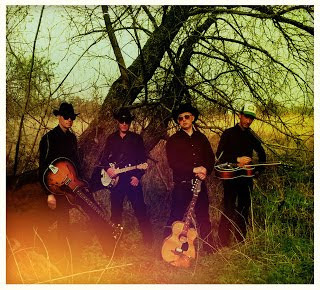 We are a bluegrass and old-time country band from the Netherlands: Jesus Evil Highway. Check us out and contact us! Jesus Evil Highway consists of Wanko B.C. (bass, backin' vocals), Stoney 'The Lonely' (lap steel, dobro, backin' vocals), Pee Wee Flatfoot (banjo, guitar, fiddle, backin' vocals), and Danny Humper (guitar, uke, lead vocals). 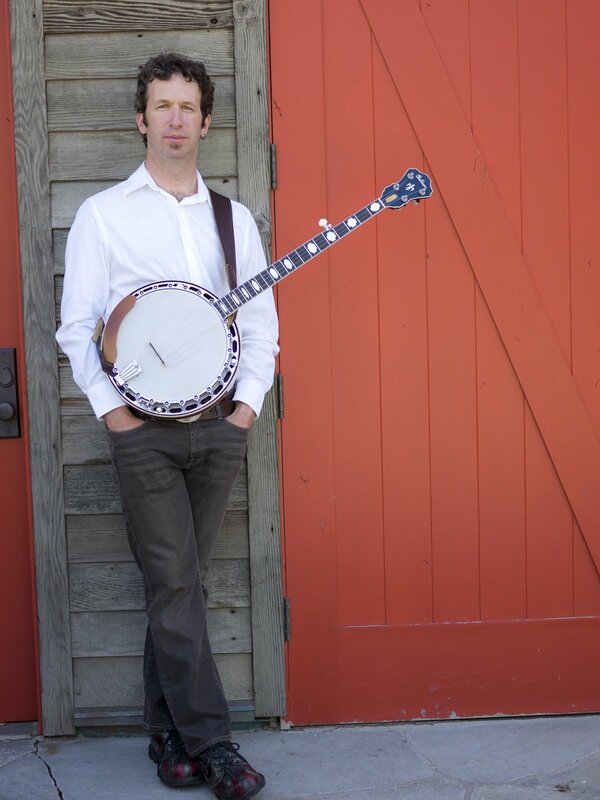 Next Thursday (28 March) Jake Schepps, American banjo player (photo), will run a festival, with more or less fifteen banjo students! Then he'll play with manouche/grass band Swing 42 and some friends from the Barcelona bluegrass scene. 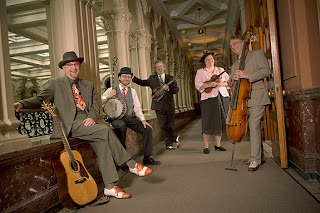 Fiddler Holly Odell (USA) has spent a month in Barcelona, playing gigs with Swing 42, the Barcelona Bluegrass Band, and the Damned Hellbillies. She intends to return to Barcelona, and is working with Swing 42 on a new CD of original material. Meanwhile, here are YouTube videos of her playing with Swing 42: 'Max'; 'Squirrel hunters'; and 'Dakota/Funicular/Mimo'. Nuria Balcells, a popular Barcelona violinist, is organising a series of workshops for string instruments, including violin players such as Casey Driessen, Gilles Apap, Alex Hargreaves, and more. The next to visit Barcelona and teach there will be Brittany Haas in May - not to be missed! Danilo Cartia and Letizia Sampaolo (above) performed in concert at the launch of Roberto Vignoli's book Fotoromanzi di amore sfrenato on Sunday 24 March at 19:00 in the Eno Libreria, Via Quattro Fontane 130, Rome, Italy. Admission was free. The EBB regrets not having been able to publish this news in advance, but the photo deserves publication anyway. Declan McCarthy, organiser of the major annual fiddle music event in Ireland, announces that this year's Baltimore Fiddle Fair will take place on 9-12 May. The Fair's reputation is built on consistently presenting world-class acts in intimate settings in the beautiful seaside village of Baltimore in West Cork, 'one of the most stunning festival settings on the planet'. 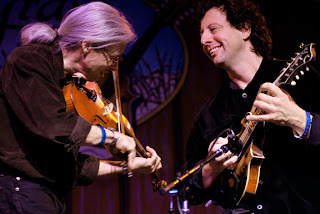 The 2013 programme includes American fiddlers Casey Driessen and Bruce Molsky and other international acts, together with workshops, art exhibitions, and sessions in and around the village. Tickets for the 21st anniversary Baltimore Fiddle Fair are on sale now. For full lineup, schedule, and ticket information, visit the Fiddle Fair website. Wolfgang Mark, head of the City of Bühl press office, announces that a press conference will be held at 11.30 a.m. on Monday 8 April 2013 in the Rathaus, Alter Trausaal, EG, Hauptstraße 47, 77815 Bühl, to issue information on the forthcoming 11th International Bühl Bluegrass Festival (4 May 2013), featuring four prominent US bands. 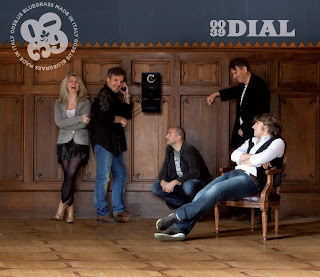 Last year we have realised a new CD named Dial that we love a lot. In this project we had some awesome musicians join us, such as Andy Hall, Rafe Stefanini, Mike Guggino, and Nicky Sanders. These last two are both from the Grammy Award-winning band Steep Canyon Rangers, and for this we are so happy and proud to have the gift to have them playing in our CD. The Steep Canyon Rangers' CD Nobody knows you was Best Bluegrass Album in this year's Grammy Awards. 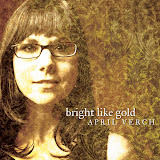 The April Verch Band from Canada, who have recently played eight shows in Belgium (28 Feb.-8 Mar. 2013), are planning their return to Europe in the late summer and autumn of this year. Their tour schedule includes shows in Sweden in the period 25 July-8 August, and on 3 October they will begin a tour in the British Isles lasting for the whole of the rest of that month. On both trips they are open to bookings elsewhere in Europe around those dates. They are also booked for the Shetland Folk Festival in Scotland (1-8 May). 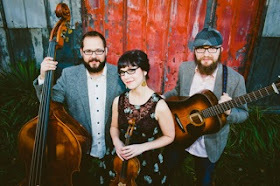 The band, spearheaded by April's award-winning fiddling and her equally dynamic dancing, consists of Cody Walters (bass, clawhammer banjo) and Hayes Griffin (guitar). All members contribute original compositions to April's ninth and latest album, Bright like gold, which includes such guests as Mac Wiseman, Bruce Molsky, and Sammy Shelor. 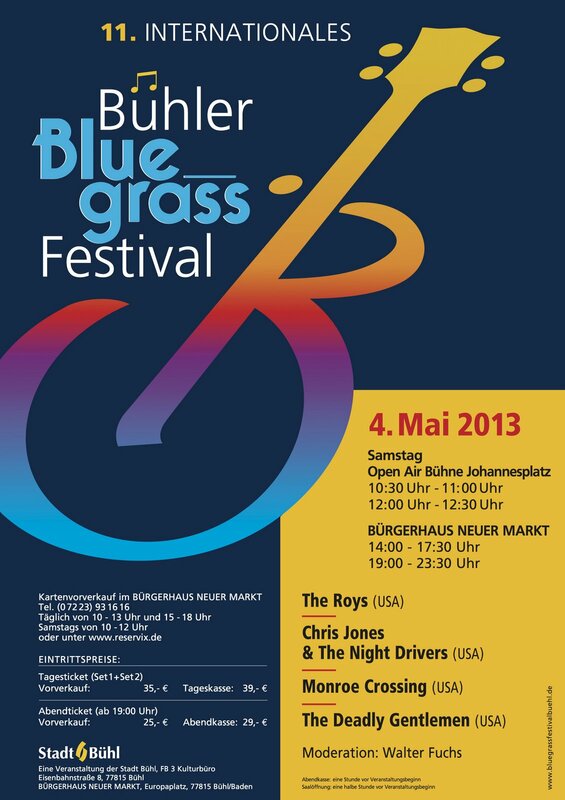 The Bluegrass Meeting due on 24 May 2013 is coming! 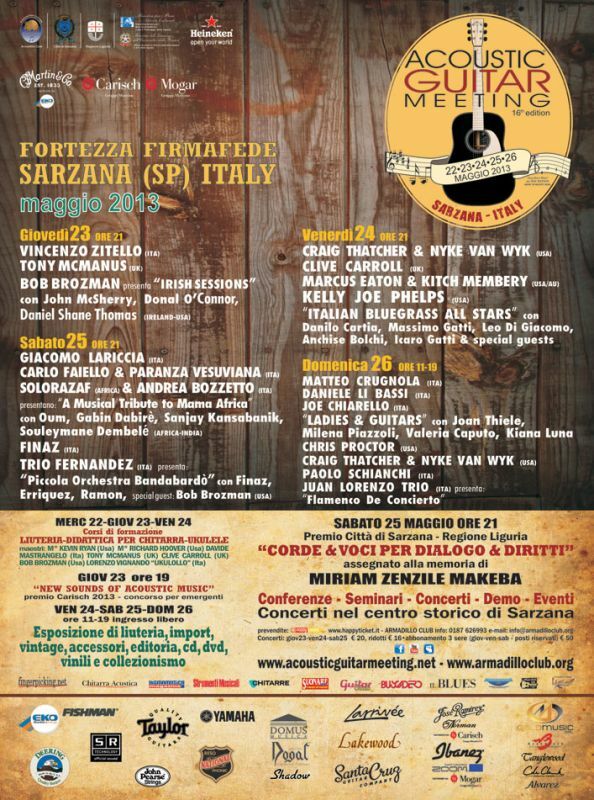 We're just nearly two months away from the event in Sarzana. I’m looking forward to getting together with you and listening to some good pure bluegrass music, and doing some jamming! So here [see image above] is a list of some facilities around Sarzana offering discounts and special conditions for the accommodation. 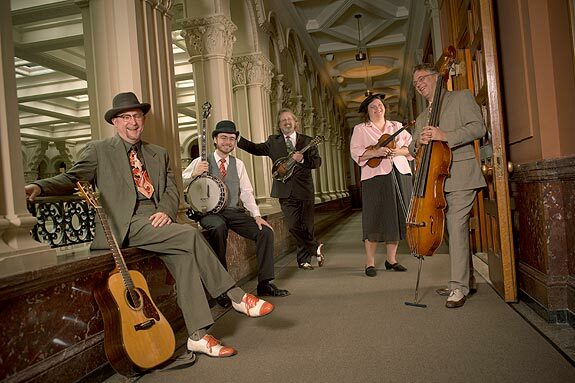 When booking, remember to state that you are a Bluegrass Meeting participant! I also remind bands and/or musicians willing to perform on stage to contact me by e-mail or tel. +39 339 6908450. At your disposal for any further information. Cheers! Ireland's Niall Toner is questioned by leading bluegrass journalist and writer Richard Thompson in the first of a new series of interviews on Bluegrass Today. 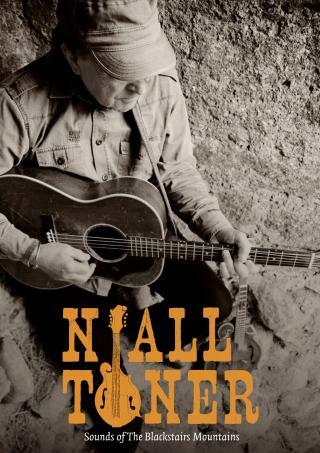 We learn about Niall's favourite food, drink, song, record album, film, bluegrass memory, and much else, including the development of his career in music. It is clear that in taking this path, he has deprived the world of a great marine biologist. Read the full interview here. Last minute news! Roberto Dalla Vecchia (above), Italian guitar flatpicker, will be presenting his new CD in ‘t Ey in Belsele this Sunday (17 Mar.) at 16:00. More details on our calendar. And don’t forget to book your trip to the 16th European World of Bluegrass in Voorthuizen (NL). Two Belgian bands, Rawhide and Blue Maxx, will be there, along with 40 bands from all over Europe. Also check out the interesting concerts in the coming months. 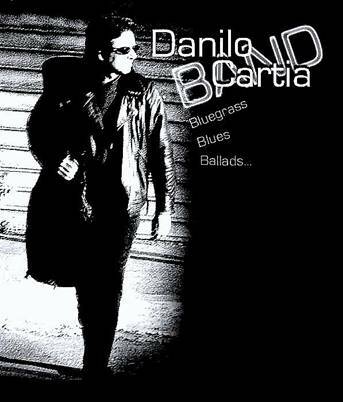 Banjoist, guitarist, singer, and bandleader Danilo Cartia (I) announces that the Danilo Cartia Trio will be playing bluegrass, blues, and ballads tomorrow night (Friday 15 Mar. 2013) at the 'Locanda Don Chisciotte', Via dei Sabelli 58, Rome. The show starts at 22:00, and admission is free. When you attend a Larkin Poe concert, it is impossible not to see and hear that these sisters have soul and musical prowess well beyond their years. At 21 and 23 respectively, Rebecca & Megan Lovell are charismatic performers, experienced songwriters, and accomplished musicians. Featuring tight vocal harmonies and dizzying instrumental riffs, the music of Larkin Poe ranges from Folk-Rock to Acoustic R&B, from grooving Jam Band to delicate singer-songwriter - Larkin Poe is versatile, entertaining, and totally authentic in all that they do. With a seemingly inexhaustible fount of creativity and passion, Larkin Poe hit the road running in January 2010 and in less than two years has already released 5 studio projects of all- original music, become a regular fixture on radio charts across Europe, and acted as the backing band for Elvis Costello on his international tours - with a Live Performance DVD due out Summer 2012 and a new studio project in the works for Winter 2012. With extensive tours booked across the United States and Europe, Larkin Poe continues its high-energy invasion of the folk music scene, captivating audiences around the world with their insightful lyrics, magnetic presence, and dazzling instrumental virtuosity. In the words of Elvis Costello "they are already gifted as instrumentalists and, having a head start on the rest of us with the unique power and beauty of sibling harmony in their vocal blend, their songwriting has leapt forward and now surprises and delights in equal measure." We have prepared this travel brief for students who normally travel to Kingham by rail. Network Rail are rebuilding Reading Station and as a result, no trains will be running through there on Sunday 31 March, the day many S.F.Week students will be travelling to Kingham. A special timetable will be in operation. Please note we will not be updating this information, and please do not call Sore Fingers Summer Schools for travel information. On Sunday 31 March, we will be meeting trains at Kingham station with a shuttle bus as normal between 14:30 and 18:30. Train Services from London to Oxford will be re-routed through Banbury. This will result in extended journey times - on average an hour longer than normal. To get to Kingham, a change of train will be required at Oxford. It is recommended to go to London Paddington by Heathrow Express and get a train to Oxford via Banbury. Change at Oxford for Kingham. The Rail-Air bus service will run from Heathrow to Reading. At Reading, it will necessary to catch another bus to Didcot Parkway station, where trains will run to Oxford and Kingham. You might need to change at Oxford for Kingham. Services from the North will be less affected but there will be a revised timetable in operation. Trains will either terminate at Didcot Parkway or run through to Oxford. Change at Didcot or Oxford to get a connection to Kingham. This information will also be downloadable from the Sore Fingers website. 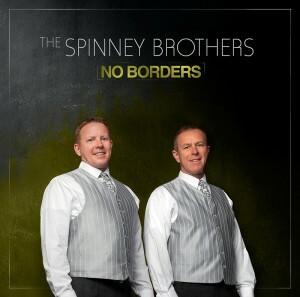 The Spinney Brothers of Nova Scotia, 'Canada’s International Bluegrass Band', will have their latest CD No borders released on 7 May by Mountain Fever Records of Virginia. The first single, 'Grandpa's way of life', was released for radio yesterday (11 Mar.) and can be heard on AirPlay Direct. 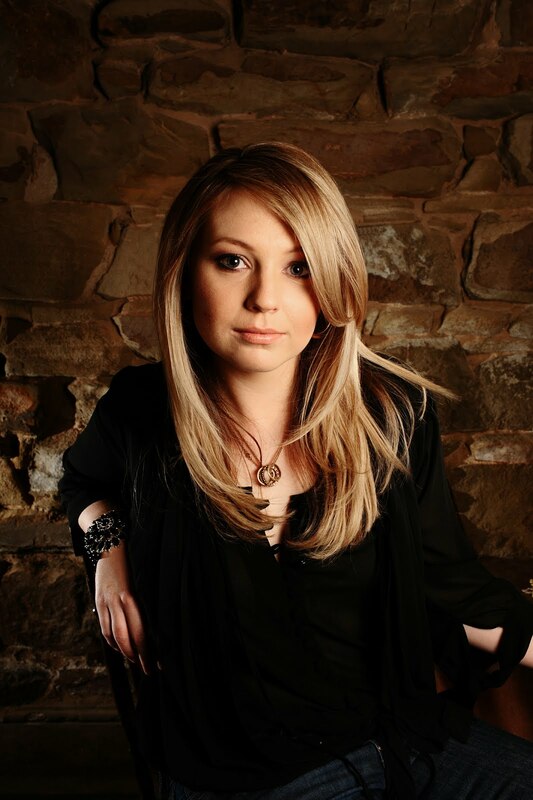 The song was written by Brink Brinkman, who says that it 'is 80% about my grandfather... It is focused on the hard work and values of a great generation... He came from Norway.' Read more details in the press release from GoodStuff PR. During 2012 the EBMA Board set up the European Bluegrass Pioneers and Personalities Project (EBPP) to recognise and acknowledge the past and present most influential European musicians, promoters, journalists, DJs, luthiers, experts, and others who contributed, and still contribute, in a relevant and significant way to establish or popularise the bluegrass music genre in Europe, and to create a European bluegrass scene and community. · Personalities: To have promoted or contributed to promote special projects or have reached special achievements during the last year. The Award ceremony will take place during the concert on Saturday 16 March as part of the 5th European Bluegrass Summit, which will be held at the Hotel Pyramida Auditorium in Prague. This five-minute presentation was sent to me by an anonymous fan. It's a great review of last year's festival. Regards to all, hoping to see you again this year. Bob Grainger invites everyone with an up-to-date version of Flash Player to watch slideshows of photos he took as official photographer at the Gower Bluegrass Festivals of 2010, 2011, and 2012, as well as the 2012 Didmarton Bluegrass Festival. 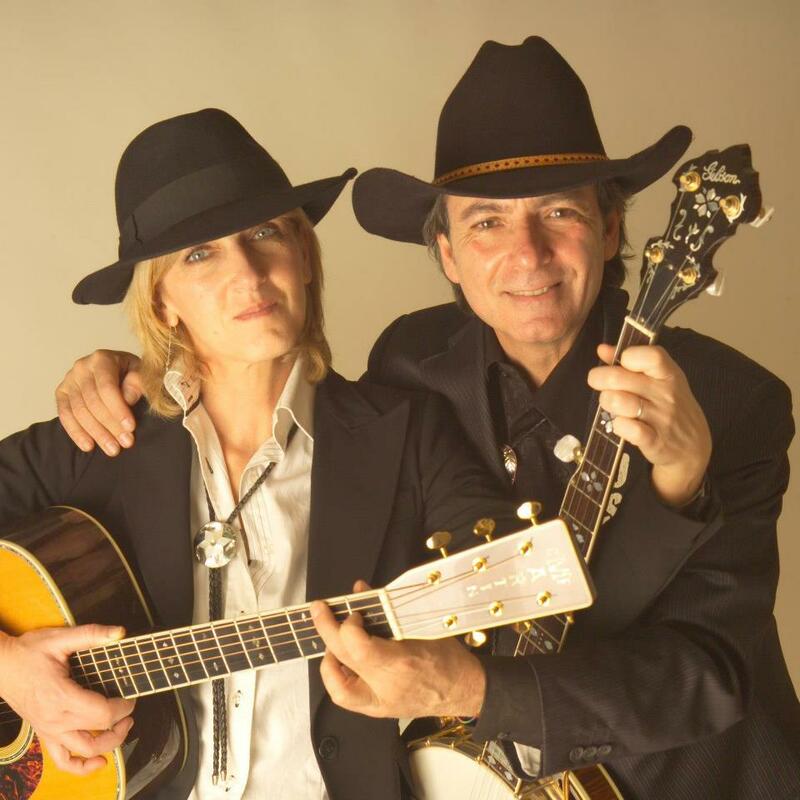 Thanks to Danilo Cartia (I) for drawing our attention to the latest news from Pete Wernick (left) on the forthcoming First All-Europe Bluegrass Jam Camp, due to be held at the Hotel Svornost in Prague (CZ) on 22-24 March 2013. Two important new developments should be noted. As already announced, students from the Czech Republic, Slovakia, Poland, or Hungary can be offered reduced rates, due to currency differences. E-mail Pete for more information. Secondly, although the Hotel Svornost website says 'no rooms available', space is being held for people attending the camp (password: 'banjo'), with spaces still available as of 5 March. Contact the hotel by e-mail or phone, and say you're coming to the camp. That will get a bed and breakfast at the camp rate of €24 a night. The rate assumes sharing of rooms. If there is any problem with the hotel, e-mail Pete. 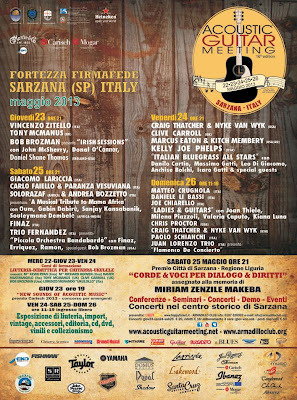 Since I have been devoted to bluegrass music for over thirty years and worked hard to spread it as much as possible, I have always thought that creating a special international event here in Italy, that could give musicians the opportunity to share and enjoy this music, could help to the purpose. 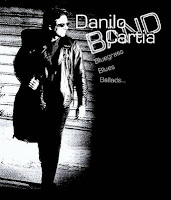 The first Acoustic Guitar Meeting (AGM) was held in May 1998 in Sarzana (La Spezia), Italy. Since then, the Meeting has become one of the most important international events dedicated to the acoustic guitar. Training courses, contests for emerging guitarists and their music, conferences, concerts, lutherie, vintage, and accessories exhibitions are the main contents of this important annual event. This is the frame I have considered for the special occasion. 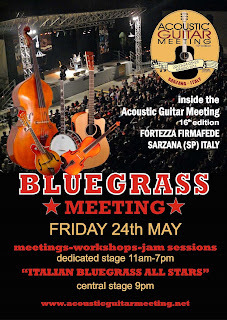 So I have organised a whole day (24 May) named 'Bluegrass Meeting' that for the first time will be included in the AGM 2013 edition. Musicians will have a dedicated stage and will be involved in workshops, performances, and jam sessions. 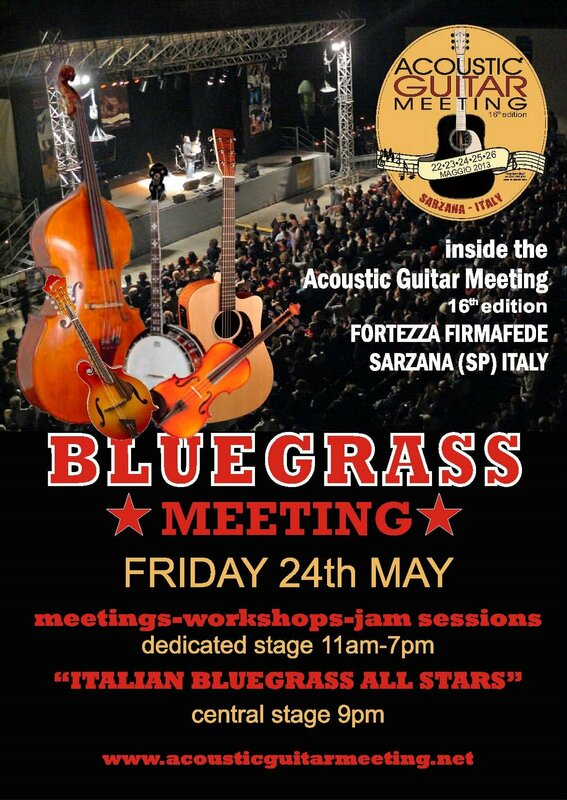 Then the ITALIAN BLUEGRASS ALL STARS (Danilo Cartia (banjo), Massimo Gatti (mandolin), Anchise Bolchi (fiddle), Leo Di Giacomo (guitar), Icaro Gatti (double bass), and special guests) will perform on the main stage for the evening gig. For musicians willing to be part of the event, special accommodation conditions will be provided. Thanks to Jean-Marie Redon for the latest news of the instruction book/CD set for bluegrass banjo, written by himself and Bill Keith, which has already gone through four French-language editions. 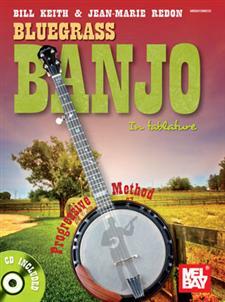 It has now been translated into English and published by the major US company Mel Bay as Bluegrass banjo in tablature: progressive method. 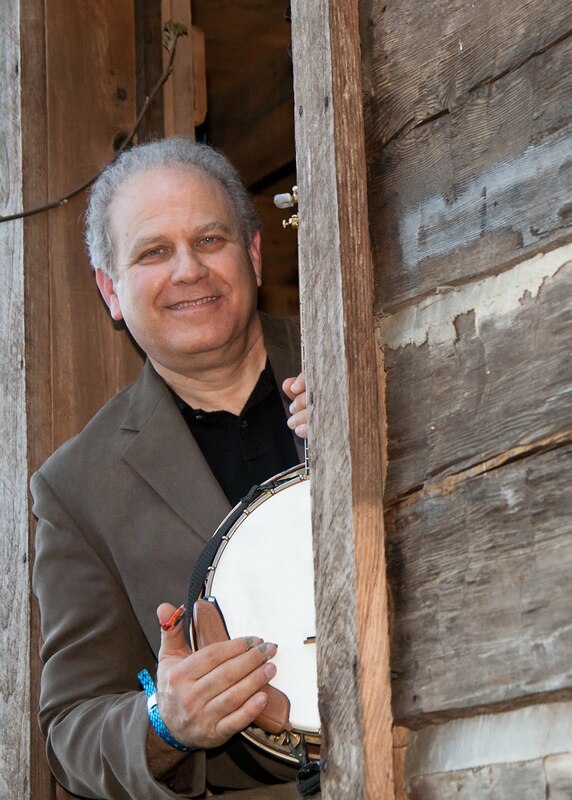 The Keith-Redon method is in three parts: (1) introduction to the banjo, right- and left-hand technique, exercises, music theory, and more; (2) tablatures for 27 tunes, ranging from bluegrass standards and fiddle tunes to more adventurous genres; and (3) other scales, licks, endings, 'Last But Not Least', and an appendix on banjo players. The CD provides audio tracks for all tablature material. More details are on the Mel Bay website. 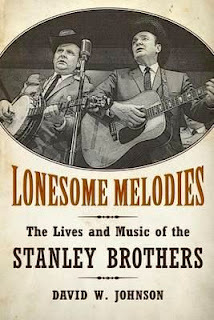 ﻿This first-ever Stanley Brothers biography Lonesome Melodies: The Lives And Music Of The Stanley Brothers [released February 1, 2013] documents the careers and personal lives of two true bluegrass legends, Carter and Ralph Stanley. Author David W. Johnson has written a compelling story while remaining historically accurate, respectful and honest. 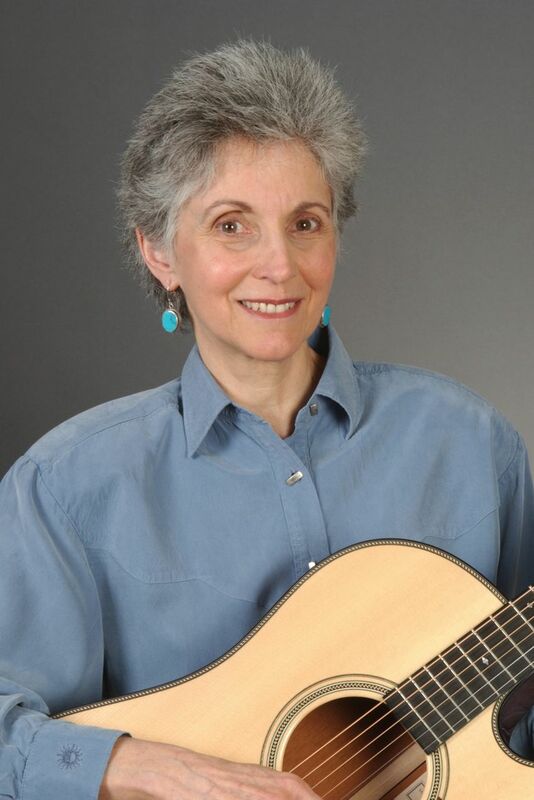 It is a sensitive portrayal of two rather diverse personalities as they struggled to make a living together with their mountain music -- a music that told stories of their family, neighbors, and all descendants who came before them. Those of us who take this 304 page journey (including anyone who may have had a personal relationship with Carter and Ralph Stanley) perhaps will have a better understanding of these men and their music. 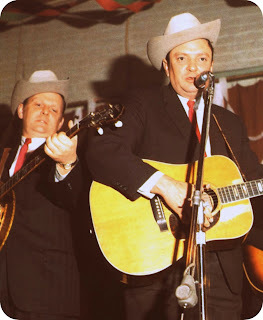 Brothers Carter and Ralph managed to take their music to the major cities of the USA from their home place deep in the Clinch Mountains of Virginia. They performed in local school houses, in radio stations, college campuses, the infamous Newport Folk Festival, national television and toured in Europe in 1966. 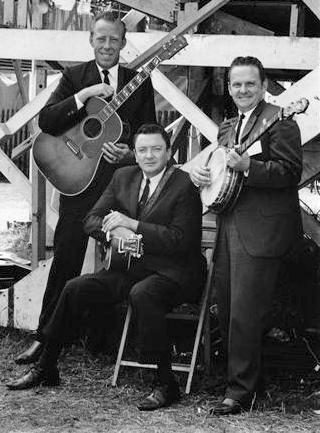 The Stanley Brothers and The Clinch Mountain Boys were one of the most accomplished bands in country, bluegrass and mountain music. The Stanleys played a major role in the development of the early history of American music. David Johnson’s extensive research while living near the Stanley's home territory in Virginia included personal visits with Ralph Stanley. He also spent countless hours with the two brothers' family members, childhood schoolmates, neighbors, life-long friends and band members. Some of the many people who shared their personal memories of Carter and Ralph were Bill Clifton, George Shuffler, Larry Sparks, and the late Wade Mainer. The journey throughout this book is not only a personal view of the Stanley Brothers’ world, but an occasional study of local histories and personalities. The author also inserts a fair bit of regional history to help us better understand the strength in character of Carter and Ralph Stanley. A character that perhaps prepared them for the path they would take in their musical quest. Additional subjects covered include song collecting in the mountain country, the earliest music festivals, the prominent folk and bluegrass artists of the period and more. We are also treated to an insider’s view of the country music business during the late 1940s through 1960s. There is detailed background of well known mountain ballads. We are treated to several ‘behind the scene’ looks at day-to-day life on road for a first generation bluegrass musician. We learn about the politics of competing with the relatively few bands in those formative years of bluegrass music. We learn of the importance of radio appearances, the politics of radio and recording companies, the impossible task of finding sponsors, the complications involved in being cast members of major venues such as the Louisiana Hayride. Another welcomed subject covered in the book is a brief history of the earliest radio and recording business in Bristol, Virginia – Tennessee (the town is divided down the center of Main Street by the Virginia and Tennessee state lines). Particularly interesting is the list of old-time mountain musicians who recorded 78 rpm records prior to the well documented “Bristol Sessions” with The Carter Family and Jimmie Rodgers in 1927. Telling the personal story of Carter and Ralph Stanley could not have been an easy task. Carter, the eldest of the two brothers, died early in his life at age 41 (just 9 months after their tour of Europe in 1966). Until now friends and family were very protective of Carter Stanley and would not talk about his final months of life. His was a sorrowful and painful end due to complications from acute alcoholism. However Johnson relates this integral part of the Stanley Brothers’ saga with great respect and sympathy for the people involved. This inaugural study of The Stanley Brothers is highly recommended to anyone who enjoys American music: The general reader, knowledgeable country-bluegrass-mountain music fan, music student or scholar. With photographs, interviews, encyclopedic notes, Stanley Brothers discography + index. About the author: David W. Johnson is an independent scholar who has performed and written about traditional music for 50 years. His article on The Carter Family was awarded Da Capo ‘Best Music Writing 2004’. He lives in Stratham, New Hampshire, USA. Thanks to Serge Rieger (F) for the news that the award-winning Australian singer/songwriter and bandleader Kristy Cox (see the European Bluegrass Blog for 12 Feb. 2013) will be on the road in Europe two months from now. On 14 May she and her band will perform in Surbourg, Alsace, France. Further details will be announced in due course. Her appearances will also include playing at the European World of Bluegrass Festival (9-11 May) at Voorthuizen, the Netherlands. The Wagon Tales, who have in the past year become one of the most talked about acoustic groups in London and the UK, will launch their debut album Introducing on Wednesday 24 April at the Slaughtered Lamb, Great Sutton St, Clerkenwell, London EC1V 0DX; tel. +44 (0)20 7253 1516; doors 7.30 p.m.; tickets online. The album, on the Fire Eater Music label, is available now on iTunes. The Wagon Tales (also on Facebook) are a group of young, talented musicians from backgrounds including jazz and classical music, using traditional bluegrass instruments and inspired by the past masters of the music, but with original material based on personal experiences. 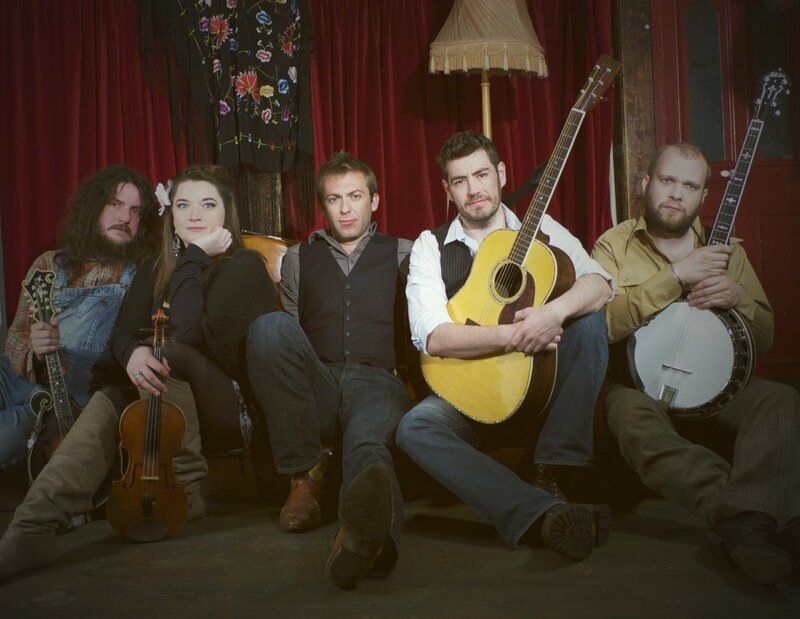 Founded in 2007, the band consists of Ben Somers (double bass, vocals), Joe Auckland (banjo, vocals), Kate Robinson (fiddle, vocals), Lewis Cohen (guitar, vocals), and Joe Hymas (mandolin). They have also recently done their own version of the 'Harlem Shake', the current internet sensation, on YouTube. For more info, e-mail or telephone Ben Somers at +44 (0) 7811 447486.